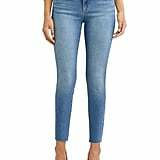 Sofia Vergara has been bringing the laughs for seasons on Modern Family, but now the star is inspiring happiness in an entirely new way with the release of an affordable denim line with Walmart.com. 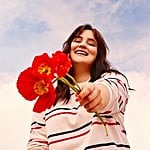 The online-only collection includes almost 100 items ranging from jeans and denim jackets to graphic tees and will offer sizes ranging from 0-20. The best part? It's all $40 or less. The actress (and now, designer) spoke with us to give the scoop on all the details of her new line. Read on to hear more secrets on the collection from Sofia herself and to shop our favorite pieces available at Walmart. "I don't care what anyone says, all women want to look cute. If I can have them look at themselves in the mirror and say, 'Oh damn, I look super cute,' I'm happy." Sofia Vergara: I love fashion, I love jeans, I love women. I like buying clothes and I have access to a lot of things, but I have always imagined what I could create at a lower price than what I already buy. 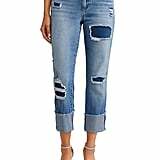 I wanted to create a jean line because I think it's one of the most important pieces of clothing every woman owns in 2019. I don't know anyone who doesn't own a pair of jeans. My mom is 70 and she wears jeans, my niece is 26 and wears jeans. I needed a retailer like Walmart to get it out there and I think we did a great job with the line. Since the moment the jeans came back from production, I've been wearing them! It makes me really proud to see them on the models. They are of all sizes and they all look so amazing. SV: My favorite is the Sofia; I named them after myself. I have that same style of jeans in other expensive brands, so I re-created it with a more affordable price. The style is super comfortable and beautiful.